I respect Brunch. It gives breakfast (my favorite meal) the attention it deserves. Weekends feature “the most important meal of the day” at trendy bistros, or coffee shops bombarded with extra bodies suddenly craving that melty breakfast sammie. Brunch drives the creativity that blurs the line between sweet and savory. But don’t let a fig and goat cheese breakfast pizza topped with a perfectly poached egg intimidate you. I’m here to help you DIY-Brunch, with simple tips that can help you enjoy this mid-morning meal, fabulously. Tacos are like jazz music: full of improvisation and good at putting everyone in a good mood. You can turn any scrambled something into a taco, and your fridge and pantry are bursting with toppings. My ideal breakfast tacos include scrambled eggs with chives and spicy Italian sausage, arugula, cherry tomatoes, avocado, crumbled ricotta salata, and lime piled into corn tortillas. It’s delicious, fun if you’re hosting, and only takes about 15 minutes to prepare! 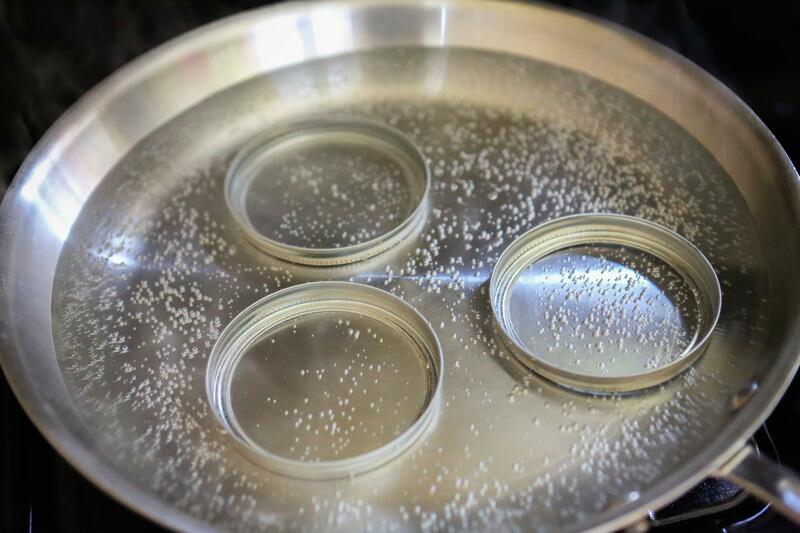 Put your Mason jar band(s) into a pot of water, and bring it to a simmer (NOT boiling). Keep an eye on the heat to make sure the water stays at a simmer. Crack an egg into a small bowl or cup. Slowly, and as close to the water as you can, pour the egg into the jar band. I find it easiest to do this one egg at time. Be sure to avoid that “plop” into the water to help keep the egg whites together. Let the eggs poach for about 5 minutes in the water. If you’re only doing one or two eggs, you can even just turn off the heat and let them poach. Remove poached eggs with a slotted spoon, and you’re all set! When I’m in the mood for poached eggs I slather two pieces of toast with buratta cheese, then add prosciutto, spinach, red onion, and my poached eggs. It is a gooey, melty, delicious mess. Place your plum wedges flesh-down onto the pan and bake for 5-7 minutes, or until the fruit is tender and bubbling slightly, but not mushy. Top your French toast with mascarpone cheese and the baked fruit. Behold, your beautifully Instagram-able brunch dish. It’s a light, sweet, and fresh way to start your morning! For egg dishes, use hard and crumbly cheeses—think cheddar, Gouda, manchego, feta, or bleu. A quick tip for scrambled eggs: put the shredded or crumbled cheese directly into the eggs as you are whisking them to maximize melt-ability when you start cooking. That way, the cheese incorporates better and not in one big cheesy bite. For sweet dishes like French toast, waffles, or pancakes, use soft, creamy cheeses like mascarpone or ricotta. You can put goat cheese on anything. New England hosts a lot of awesome dairies, so Boston offers a multitude of local cheeses that I love digging into. Cheese just always wins. There you have it: tips to maximize your breakfast cravings. If you’re in the mood to stay in for Brunch, hopefully you can now feel confident in the DIY-Brunch department. I’ll eat breakfast at any time of the day. So, whisk those eggs, flip those cakes, and invite me, please! Nusheen Orandi is a second-year student from California in the Nutrition Communication program with a concentration in Agriculture, Food and Environment. She likes to spend her time tea-shop hunting, breakfasting, tensely watching the Tottenham Hotspurs, and cooking and eating with friends and family. Thanks Smitha! I used to be so frustrated with poached eggs until I learned the mason jar trick! It makes it as easy as having boiled eggs. I hope you enjoyed the tips! Thanks for reading, and happy brunching! What an awesome article. Baking fruits for french toast is genius. Love your writing!